Before you consider buying precious metal coins such as Saint Gaudens Double Eagles (similar design to today’s American Eagle coins), Liberty coins, Morgan dollars, etc… it’s useful to know the basics of coin grading. 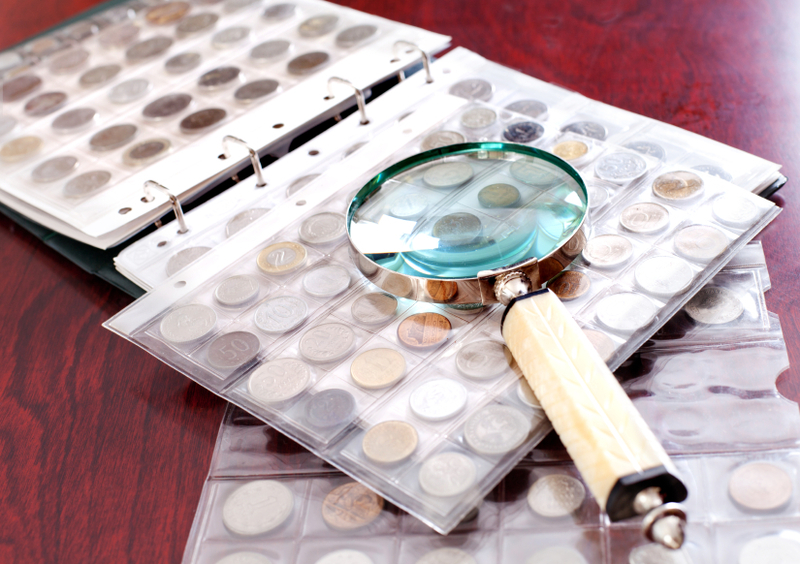 Coin grading is a process that determines the physical condition, quality, rarity, interest factor, and liquidity of a coin. It’s done by coin grading companies such as the Numismatic Guaranty Corporation (NGC) or the Professional Coin Grading Service (PCGS). These two companies as well as almost all other coin grading companies base their assessments on the Sheldon coin grading scale, named after its inventor, numismatist William Herbert Sheldon. The original Sheldon scale came out in 1949, but it became outdated in just three years. In the 1970s, the American Numismatic Association (ANA) adopted the old Sheldon scale for widespread use, modifying and modernizing it heavily. In this article we will focus on the grading of uncirculated coins – coins that have never been entered into the money supply. Ideally, if handled correctly, they are in the same state as they were right after being minted, but this is extremely rare. They come in a case, and those who buy and sell them are advised never to take them out of their case to keep them from losing value. Think of it like collecting valuable action figures and never taking them out of their original boxes. Coin grading assesses how close a coin is to that perfect post-minting state. Perfect Uncirculated (MS-70). Perfect new condition, showing no trace of wear. The finest quality possible, with no evidence of scratches, handling or contact with other coins. Very few regular issue coins are ever found in this condition. Choice Uncirculated (MS-65). An above average Uncirculated coin which may be brilliant or lightly toned and has very few contact marks on the surface or rim. MS-67 through MS-62 indicate slightly higher or lower grades of preservation. Uncirculated (MS-60). Has no trace of wear but may show a number of contact marks, and surface may be spotted or lack some luster. Choice About Uncirculated (AU-55). Barest evidence of light wear on only the highest points of the design. Most of the mint luster remains. About Uncirculated (AU-50). Has traces of light wear on many of the high points. At least half of the Mint luster is still present. Choice Extremely Fine (EF-45). Light overall wear shows on highest points. All design details are very sharp. Some of the Mint luster is evident. Extremely Fine (EF-40). Design is lightly worn throughout, but all features are sharp and well defined. Traces of luster may show. Choice Very Fine (VF-30). Light even wear on the surface and highest parts of the design. All lettering and major features are sharp. Very Fine (VF-20). A moderate amount of wear is noticeable on the high points of the coin’s design. All major details are clear. Fine (F-12). The coin shows moderate to considerable even wear throughout. Entire design is bold with an overall pleasing appearance. Very Good (VG-8). Well worn with main features clear and bold although rather flat. Good (G-4). Heavily worn with the design visible but faint in areas. Many details are flat. Common coins in “Good” condition are not particularly desirable pieces for collectors. Rare or valuable coins in this condition, however, are often saved when no others are available. About Good (AG-3). Very heavily worn with portions of lettering date and legends worn smooth. The date may be barely readable. PCGS states: “In recent times, coin values have increased sharply. In many instances coins that were sold at $100.00 twenty years ago command prices of $2,000.00 or more now. A very small difference in a coin’s grade can mean a very large difference in its price. The exact grade of a coin is more important now than ever before.” For this very reason, it is important to know the basics of coin grading and be an educated consumer when buying precious metal coins. Read more about how United States coins are graded. Did you know that certain gold, silver, platinum, and palladium coins are permitted by the IRS to be held in a precious metals IRA? Call American Bullion today at 1-800-326-9598 to speak with a specialist and have any of your questions answered.